When San Francisco-based audio/video integrator, C.A.V.S. 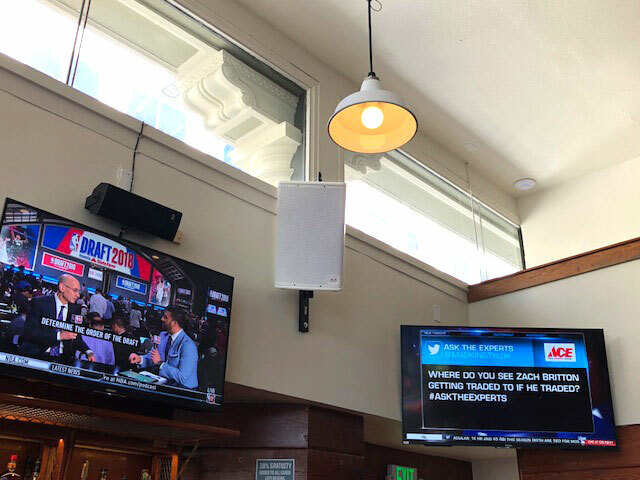 Inc., set out to specify the audio components for The Athletic Club Oakland sports bar, they knew the specified speakers would be critical to achieving the owners’ concept of 20 individually controllable A/V zones in the relatively compact 2,500 square-foot, two-story space. After evaluating a number of different manufacturer’s offerings, CAVS owner, Don Lynch, specified an all-VUE system for the club. 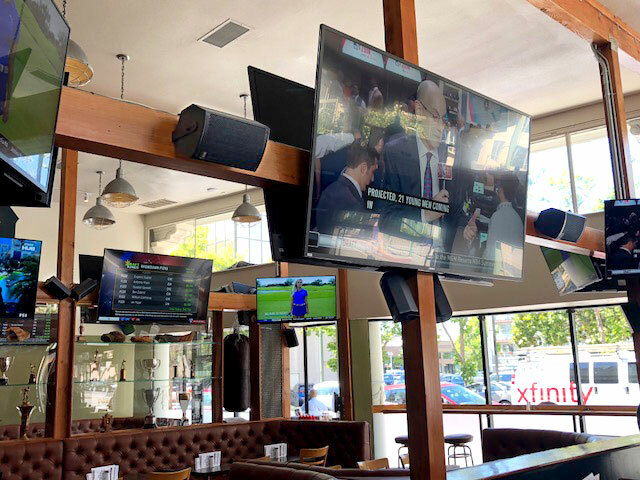 Unlike typical sports bars where a single event is usually playing, and the staff struggles to accommodate those who want to watch something different, the Athletic Club Oakland is designed to allow anyone seated at any spot in the bar to watch, and hear, whatever they want. 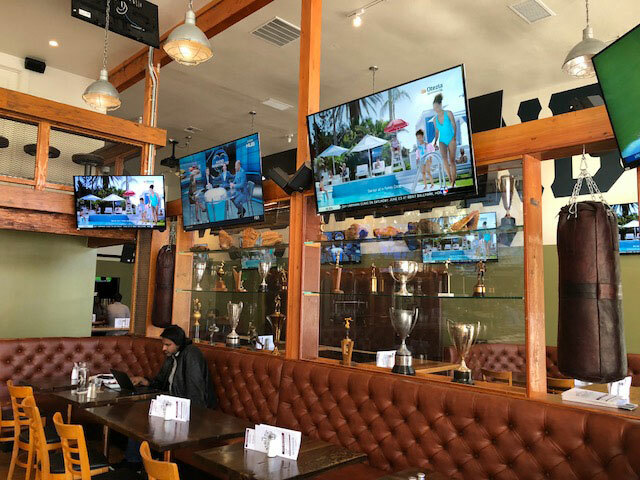 More importantly, bar staff is able to quickly and easily set up any one of the independent audio zones with a patron’s desired content. According to Lynch, when well-known San Francisco restauranteurs Ezra Berman and Miles Palliser approached him with the project, they explained it very simply. “People want to eat good food, drink good beer, but also watch and hear what they want. They don’t have anywhere else they can go to get this sort of experience,” they explained to Lynch. The club is divided into 5 main sections: The Bar, with 20 stools, 6 screens and 5 separate audio zones; two 10-seat Booths, each with their own dedicated screen, club-level sound zones and under-seat subwoofers; a second-level Sky Box with 6 screens and 2 sound zones; a Rivalry Room featuring two dueling pull-out wood bleachers, each with seating for 30, and back to back projector screens in the center of the room that drop down between the bleachers for each team’s fans to watch from the other side; and a 150-person private event space with 12 screens and a 160” projector. 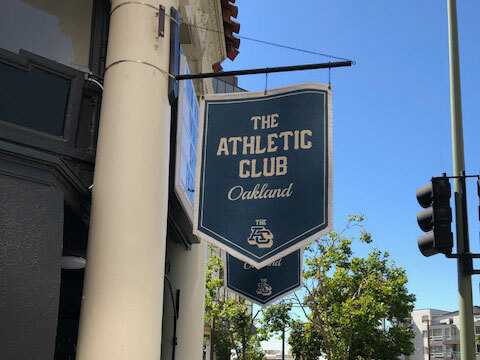 The Athletic Club opened on May 15 with lines down the block, and according to Lynch, has been packed ever since. 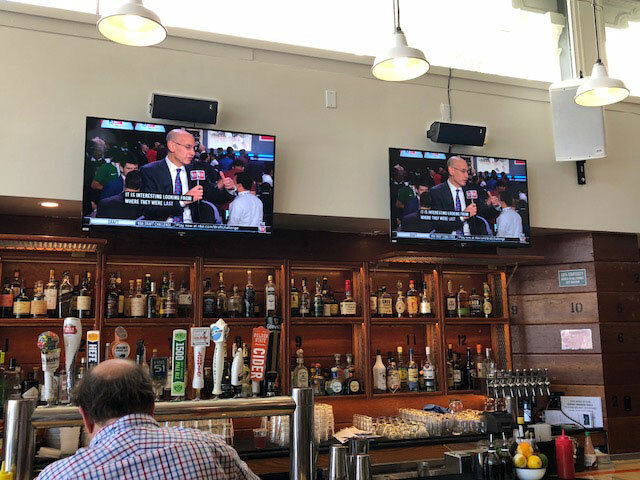 So far the owners have been extremely pleased with VUE, and especially like the system’s extra headroom when hosting live events and DJ performances. “Since the early design phases, the owners felt VUE would help differentiate the venue and help them achieve their vision for a truly different experience. It is a real thrill to see that vision become a reality,” said Lynch.